An oak drawer-leaf dining table, in James 1st period style. Shown here, in the attractive and cosy dining room, of our clients village house in Berkshire. This table was custom made, from our Chalvington range, to fit in with our clients exacting requirements, in terms of size, colour and finish. 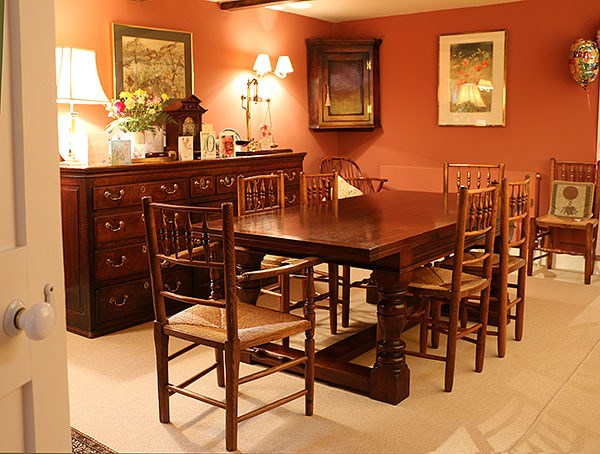 A good example of how our replica oak furniture fits in perfectly with original pieces.